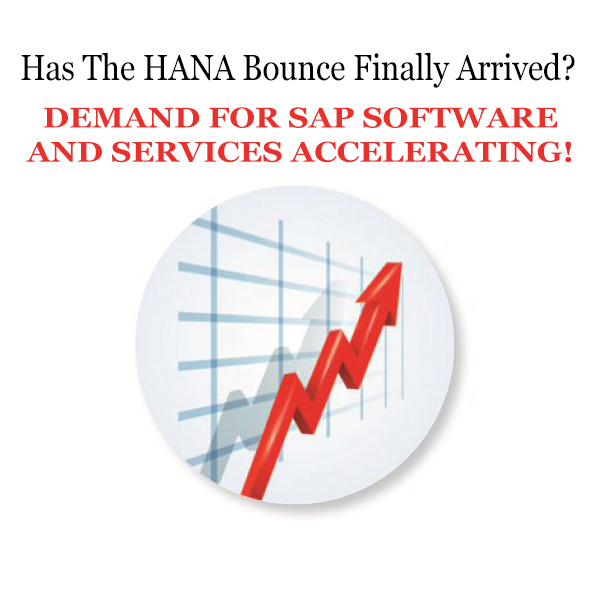 Has The HANA Bounce Finally Arrived? DEMAND FOR SAP SOFTWARE AND SERVICES ACCELERATING! Adoption of SAP HANA and Cloud-based Strategies. Or, all of the above are triggering the increased activity. If you analyze SAP’s recent 2016 Financial results, there are a lot of positive takeaways with HANA and their Cloud strategy. There are 5400 S/4 HANA customers, double the 2015 count. 30% of these are Net New Customers, a key indicator for investors, analysts, and buyers. The mix is spread between large and small businesses. For many long-term SAP watchers, selling licenses is one thing, implementing SAP is a completely different tune. Of the list of new customers, over 550 have gone live with S/4 HANA, and by SAPPHIRE in May, another 1000 S/4 HANA Customers are expected to be live. One area our clients are asking us for is experienced talent in SuccessFactors (SF). SF is challenging and beating Workday and others for their Cloud HCM investment. Talent Acquisition functionality leads all others where intelligent matching of open requisitions to resumes is getting attention. Many customers are considering a hybrid model for implementing HCM. A hybrid model consists of a legacy backend like SAP HR integrated to cloud-based Talent Acquisition, On-boarding, and Benefits. Employee Central (EC) is the hub to integrate the on-premise/cloud communications. Mobile HR Apps are gaining traction. Employee’s familiarity with smartphones improve adoption and reduces TCO. One of our clients is using the Titan Software Framework to Integrate Mobile Apps into their SAP HR system. Identifying, managing and reducing TCO will remain a focus for our customers in 2017 and beyond. We recently sponsored an Executive Exchange, where many executives stated managing TCO as a priority for their business and IT operations. We also experienced this buzz at The Eventful Groups SAP-Centric Financials Conference in Dallas. Many of our Texas and Oklahoma-based clients that attended were treated to some outstanding presentations on reducing TCO in their operations. Our own Mark Vasinda presented on Reducing the Total Cost of Operations with SAP Financials at the event. For our clients, we compiled a Special Report: 15 Proven Methods to Reduce Cost of Ownership in SAP Financials. The Special Report presents 15 processes where you can reduce the cost of operations and increase the value of your SAP application. In the AP area, we helped a client slash their operating costs by at least 40% by implementing Vendor Invoice Management (VIM). This no-hands processing of vendor invoices establishes rules and the digitized invoices are routed and posted to the proper accounts and paid without being touched by AP. Look inside for other areas of your SAP Financials where Titan has helped their clients reduce the Cost of Ownership and increase their ROI on their SAP apps. If you want a copy of the Special Report: 15 Proven Methods to Reduce Cost of Ownership in SAP Financials contact Warren Norris, warren@titanconsulting.net, 972.679.5183; or contact your Titan Consulting Director. You can see additional information on our Advisory Services page at www.titanconsulting.net.